Ninety years since the establishment of the Republic, in an ever more complex society, the limitations and contradictions of Turkish national identity are coming to the fore more and more. Martin Jacques, “The global hierarchy of race”, The Guardian, 20 September 2003. When you ask Turkish people “Is there racism in Turkey?”, most will answer, “No, not a bit of it, I am a Turkish person myself and have never ever seen or heard of it.” But racism is everywhere, not only the kind of racism against Turkey’s largest ethnic minority group, the Kurds, but against all other ethnic and religious minorities as well, especially if your skin colour is darker than the majority of Turkish people’s skin colour. The media is full of stories, almost daily, on how black people, or Roma people, are subjected to racism in the streets of Istanbul, even by the members of the Turkish police force. First President of the Republic of Turkey, Mustafa Kemal Atatürk. Wikimedia/Public domain.When General İlker Basbuğ, the highest ranking officer in Turkey until just a few years ago, defined some citizens as, “people who don’t really have Turkish blood in their veins,” he was revealing just the tip of an ugly iceberg. General Basbug here was merely repeating what was established as one of the foundation stones of the new “secular” Turkish identity under the founding father of modern Turkey, Mustafa Kemal Ataturk. Following the departure of the last Greek soldiers from Anatolian soil on 15 September 1922, the ceasefire of 11 October and the evacuation of eastern Thrace by the Greek army, the Lausanne peace conference opened. While the conference maintained suspense over the conclusion of peace, the year 1923 marked the establishment of the basic institutions, as well as the policies, of the new Turkey. 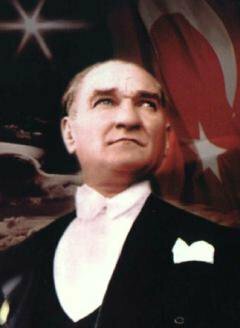 During this time, Mustafa Kemal developed his critique of the economic backwardness of his country and its Islamic culture, and introduced his main goal as how to achieve western standards of political and economic management, in other words ‘to make Turkey European’. Ataturk genuinely believed that the new Turkey should cut all its “Eastern/ Muslim” origins adrift and define itself as part of the “White/ Western” civilization. He tried to prove this in many different ways for the rest of his life. The Turkish delegation at Lausanne sought to convince the British, French and Italian delegates that the Ankara government had nothing in common with the “old Eastern/ Muslim Turk” represented by the Ottoman Empire. Hence, the new Turkey, from the start, identified itself directly and immediately with the history, culture and perceptions of the western world, claiming a total break with the Ottoman and Islamic past. By 1925 an independent Turkish Republic was firmly established with its new western institutions and militantly secular modernising ideology. A completely new social order was created under the rule of its small secular military elite. The events of these early years mark an important watershed in the development of Turkish state ideology, which is still dominating most aspects of the Turkish state and society. In 1932, a Turkish Historical Congress was convened in Ankara with the task of proving the theory that the Turks were indeed a white Aryan race originating in Central Asia where ‘Western civilization’ was assumed to have originated. The second Turkish Historical Congress met in Istanbul in 1937, where further desperate steps were taken to prove that the Turks were indeed a central part of the White European race. Eugene Pittard**, the Swiss anthropologist whose work was perceived and practiced as a racist account of humanity, not only participated but was announced as the honorary president. When Mustafa Kemal spoke of the future of his country in terms of a western perception he was indeed registering the identity of the Turkish elite, of which he was a distinguished member. The western-oriented elite would, and indeed did, use this position to feel superior to their own people because they were able to articulate the “Eastern”, the “Oriental”, the “Muslim Turk”, to the “West”. Yet, in their relationships with the western world, they could always remain as “enlightened natives”. In other words, “modern” Turkey was accepted as a useful outsider and an incorporated weak partner for the west, and has stayed as such until now. However, the self-perceptions of individual members of the country have remained closely rooted in the identity-formation processes of those early days, the days of the 1920s and 30s. 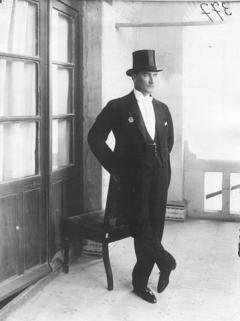 Mustafa Kemal Atatürk in 1923. Wikimedia/Public domain. It is now more than 90 years since the establishment of the Republic, and in an ever more complex and impersonal society, the limitations and contradictions of Turkish national identity are coming to the fore more and more. As Turkey is moving deep into the twenty first century, a sense of confusion about ethnicity, nationhood, religion, secular-ity and the country’s role in the world is very pronounced. Every Turkish child still grows up memorizing Atatürk’s 1927 address to the youth, which says “the noble Turkish blood in your veins.” All primary and secondary schools still teach a “Turkish” history that starts with the Huns of Central Asia, giving an ethnic, not civic, sense of a nation. And nationalist demagogues speak of “pure Turks” in the country, clearly excluding the Kurds and all non-Muslims, and, recently sharply against (Muslim) Arabs, as the number of Syrian refugees increases fast in the country. In May 2014, when reports came out that Syrians mugged someone in Ankara, local people stoned the building Syrians lived in and set it alight. Violence escalated, many were wounded and detained. There is increasing resentment of Syrians everywhere and they are being attacked and marginalized on a daily basis. There were some serious lynching attempts against Syrians in the border towns, Gaziantep, Şanlıurfa and Mardin. Anti-Syrian demonstrations, previously only in border towns and cities, now reached Istanbul, Ankara and many other western cities where hundreds of Turkish residents, armed with machetes and sticks, attacked Syrian refugees, their properties and businesses. Right-wing nationalist groups, together with some local gangs, are hunting Syrian refugees in city streets, and when caught, their prey are badly beaten. Every single day Turkish newspapers are full of such horrific incidents. The sad fact is that millions of ordinary Turkish citizens, who are not part of such fascist gangs, are just watching such incidents without offering any protection to their Syrian neighbours trying to survive increasingly in ever more desperate conditions. The status of Syrian refugees in Turkey is also very curious: officially they are considered as “guests” not “refugees”. This is because Turkey, being a signatory to the 1951 UN Convention on Refugees, is bound by a technicality – “geographical limitation”– which states that it can only grant refugee status to asylum seekers from Europe. The lack of refugee status hinders outside oversight and assistance, and deprives the Syrians of rights guaranteed under international conventions. Syrian refugees in Turkey do not have the same rights as asylum seekers from non-European countries either. They cannot register with the UNHCR to apply for asylum in a third country. Consequently they live in limbo, dependent on pitiful hand-outs given in overcrowded and under-standard “guest” camps/ huge immigration prisons, where there is often no running water, and there is disease. * Martin Jacques, “The global hierarchy of race”, The Guardian, 20 September 2003. **Pittard wrote his Race and History in 1926, where he sets out a definite relationship between race and social behaviour based on a study of human skulls and brains and classifying various racial groups according to their intellectual capabilities. *** The report, titled Nationalism in Turkey and the World, was produced as part of the International Social Survey Program and deals with issues such as nationalism, citizenship and national identity. The organization conducted face-to-face interviews with 1,666 adults in 64 provinces, completing the research in March 2014.